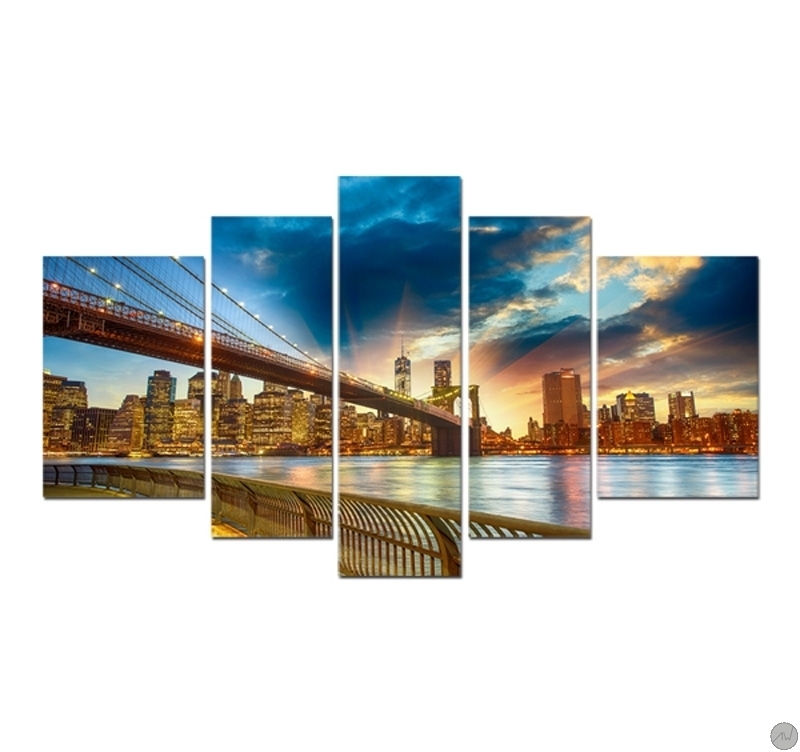 Discover wonderful sun rays over New York City on this decorative art print. This contemporary art print is 170 x 100 cm (66.93 x 39.37 po). Free delivery for this modern New York art print. 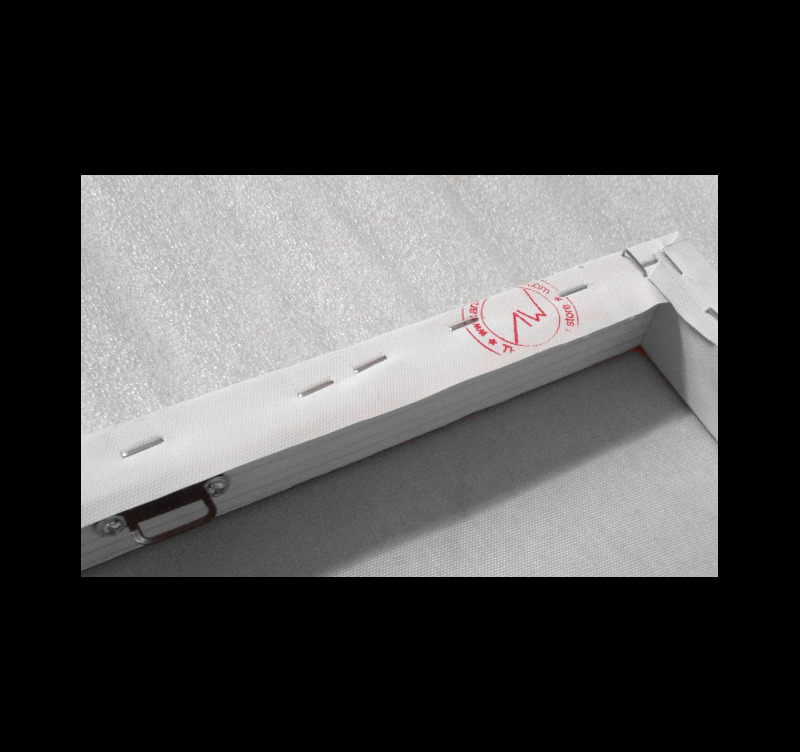 Each city wall decoration is treated to withstand UV and moisture. With its buildings, its bridge and a breathtaking view, New York City offers us one of the most beautiful panoramas on this modern canvas print. 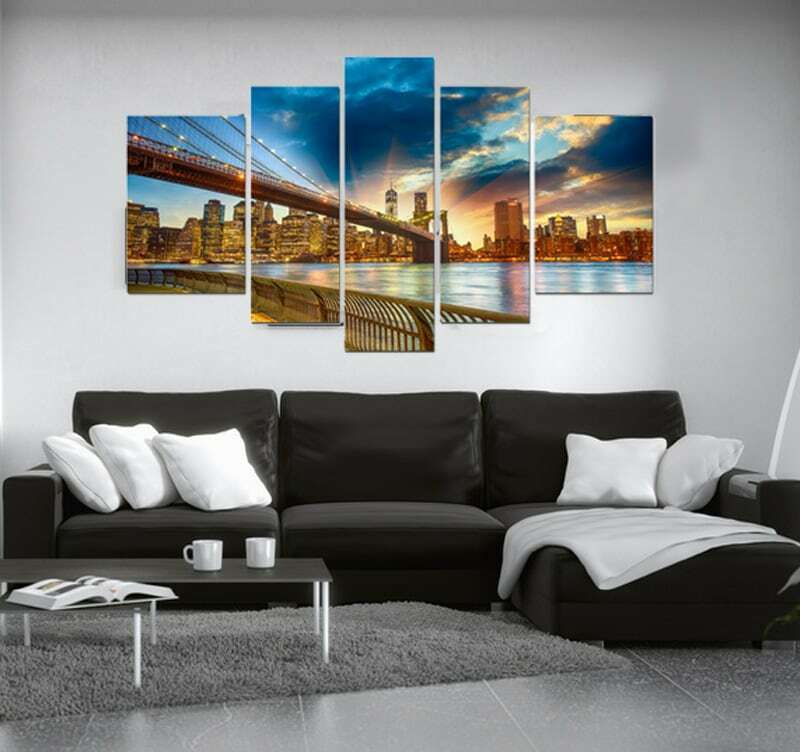 Pack your bags and travel from your couch through this contemporary artwork that will light up your interior decoration. The American dream is within reach with this decorative piece... All our modern art prints from this category are printed on cotton canvases and stretched over a frame made of Canadian pine wood. The photos on canvas are delivered with cardboard corners and hanging hooks. All our contemporary art prints are treated to withstand UV and moisture to ensure optimal rendering and lifetime.